Stay cool with the MiraCool Desert Digital Camouflage bandana. Great for our soldiers in hot places like Iraq and Afghanistan. Just soak in water for 10-20 minutes to activate cooling. Each bandana comes with its own instruction card. 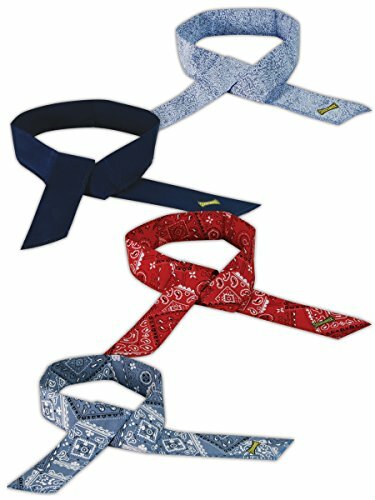 Tie the MiraCool Bandana around your neck. Cooling sensations pass to pulse points and are carried throughout your body. Turn over occasionally to refresh cooling sensations. Protects your neck from UV rays. 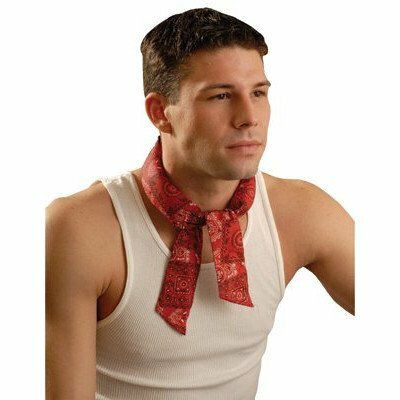 MiraCool Summer Heat Relief Cooling Neck Bandana Accessorie. Use MiraCool Technology to keep your neck or head cool all day long. Cooling crystals absorb and hold up to 1000 times their weight in water to work with the evaporation process in keeping pulse points feeling cool. Choose from a variety of colors and patterns for fun, attractive and convenient cooling. 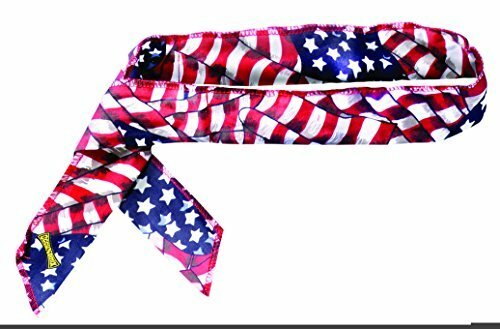 (No Suggestions) MC940BASST12 MiraCool Super Bandana is made of durable heavy-duty cotton and embedded with MiraCool cooling crystals that, once soaked in cold water for 20-30 minutes, can send a cooling sensation to pulse points in your body and distribute it throughout your body for days. Simply tie one end of the tie to one of the three button holes on the other end of the tie to secure it around your neck or forehead. 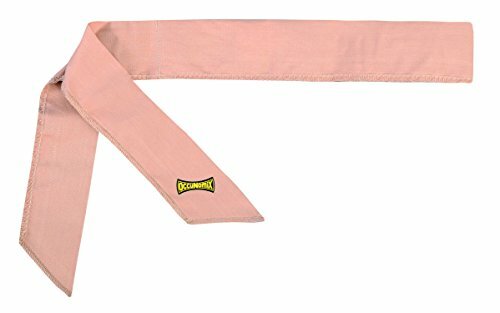 Use the new, durable (No Suggestions) MiraCool Super Bandana for as many times as you want. New lightweight design with the same cooling power and all of the comfort of 100% cotton. 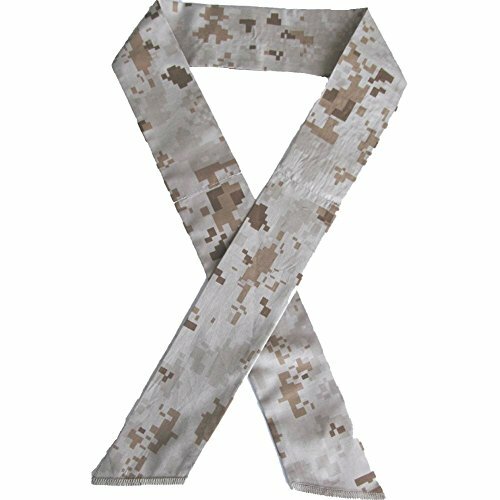 MIRACOOL COOLING BANDANA - SOLID KHAKI - 12 PACK THE KHAKI MIRACOOL BANDANA IS OUR #1 SELLING COOLING BANDANA FOR OUR SOLDIERS STATIONED IN AFGHANISTAN AND IRAQ. Each bandana in the pack comes complete with an instruction card. Easy to use...To activate just soak in cold water for 10-20 minutes. Advance polymer cooling crystals will plump up to cool you down for two full days. 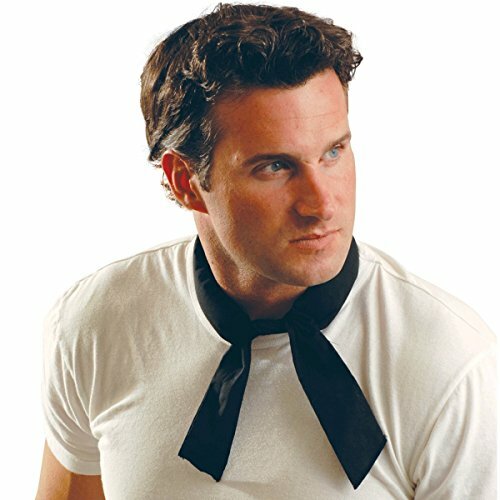 Tie the Miracool Bandana around your neck. Cooling sensations pass to pulse points and are carried througout your body. Turn over occasionally to refresh cooling sensations. Protects your neck from UV rays. Works without freezing or ice. Size: Approximate: 34 inches long x 1 3/4 inch wide. Fabric is 100% cotton. Can also be worn as a cooling headband. 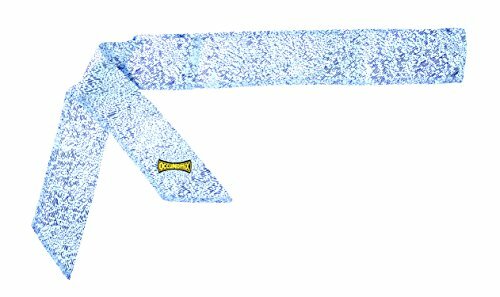 MIRACOOL REFLEX BLUE COOLING BANDANA - 12 PIECE PACK The MiraCool bandana is simple, economical and very effective. Millions sold. To experience the #1 Cooling Bandana, simply hydrate in cool water, then wear around neck. To maximize cooling effect, keep Cooling Crystals within each Bandana well hydrated or shake occasionally to stimulate evaporation. 100% cotton. MiraCool Cooling Crystals encased within the 100% cotton fabric absorb and hold up to 1000 times their weight in cool refreshing water. MiraCool Crystals work in combination with the evaporation process. When worn against head, neck or body, cooling sensations are passed to pulse points and carried throughout the body. EACH BANDANA COMES WITH ITS OWN INSTRUCTION CARD. MiraCool - 100 Piece Bulk Pack - Color: Navy. Keep everyone cool with the MiraCool Bandana! The bulk pack has either instructions printed on the outside of the package or one instruction card for the entire pack. Great for industrial use or where users do not need individual instruction cards. Just soak in cold water to activate. Made of 100% cotton with super absorbent polymer. This is the original #1 cooling bandana! 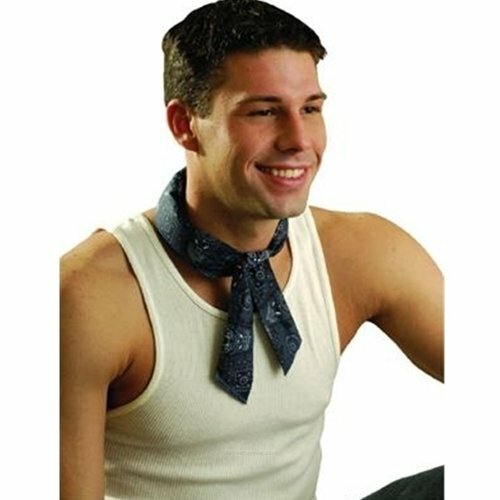 Just soak in cold water to activate and tie the MiraCool Bandana around your neck. Cooling Sensations pass to pulse points and are carried throughout your body. Turn over occasionally to refresh cooling sensations. Protects your neck from UV sun rays. Store by hanging in open air until completely dry. 561-940-FLA Features: -Stays hydrated for several days. -Works without freezing or ice. -Increases alertness and productivity. -Reusable. Product Type: -Bandanas. Dimensions: Overall Product Weight: -0.35 Pounds. Learn how MiraCool by OccuNomix can help you combat heat stress. Compare prices on Miracool Bandana at TopShopion.com – use promo codes and coupons for best offers and deals. We work hard to get you amazing deals and collect all avail hot offers online and represent it in one place for the customers. Now our visitors can leverage benefits of big brands and heavy discounts available for that day and for famous brands.